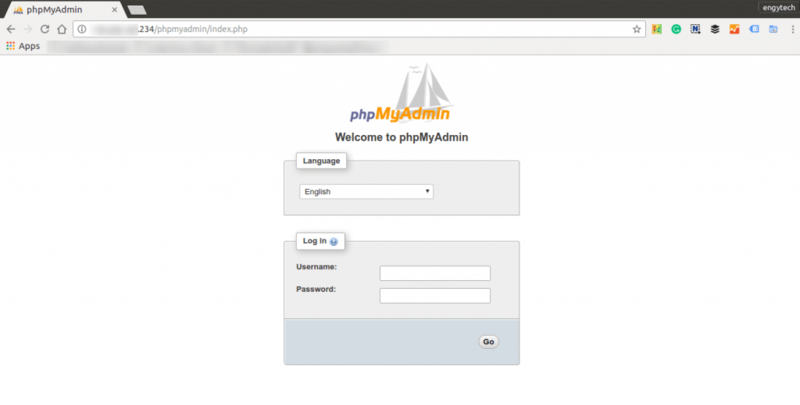 PhpMyAdmin is a free and open source tool written in PHP intended to handle the administration of MySQL or MariaDB with the use of a web browser. It can perform various tasks such as creating, modifying or deleting databases, tables, fields or rows; executing SQL statements; or managing users and permissions. Export data to various formats. Live charts to track MySQL server activity like connections, processes, CPU/Memory usage, etc. Working with different operating systems. Before we begin to install PhpMyAdmin on Fedora 25, you need to make sure you have LAMP installed on Fedora 25. If you haven’t installed LAMP stack on Fedora 25 yet then you can follow this easy tutorial to install LAMP on your Fedora 25 server. How to install latest LAMP stack on Fedora 25. 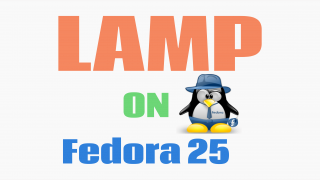 If you have already installed LAMP on fedora 25 then follow these steps. Install PhpMyAdmin on Fedora 25. Check the status of Apache server. Check the status of MariaDB server. Check the version of PHP installed on your server. Search for the PhpMyAdmin package in Fedora package repositories. 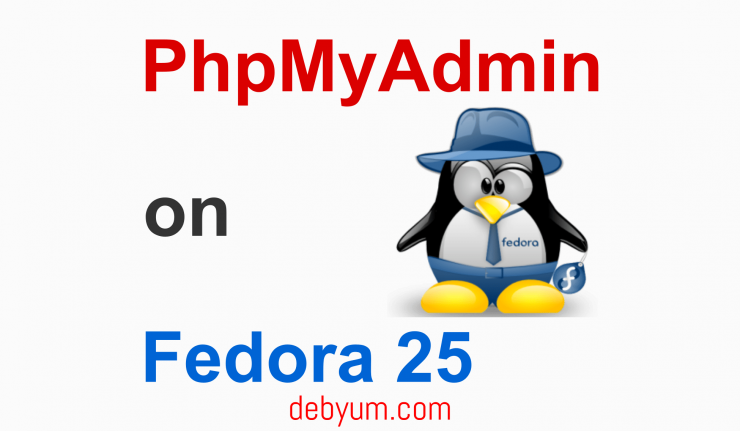 Install PhpMyAdmin on Fedora 25 server. Allow remote access to PhpMyAdmin in Fedora 25. 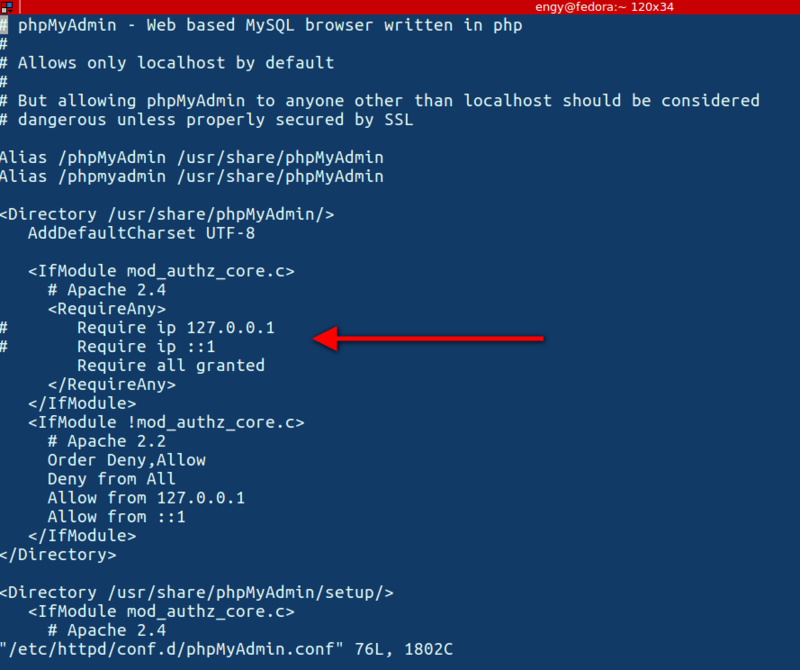 Edit the /etc/httpd/conf.d/phpMyAdmin.conf file to allow remote access for PhpMyAdmin. As we are using Apache 2.4, we will edit only the section of the file about Apache version 2.4. If you want to allow access from a specific IP only then you should replace the Require ip 127.0.0.1 with the specific IP. For example to allow Ip address 192.168.0.111 then we will use this statement. To further security harden you PHP Application, you can follow this article. Top 10 PHP Security best practices for Linux sys administrators. 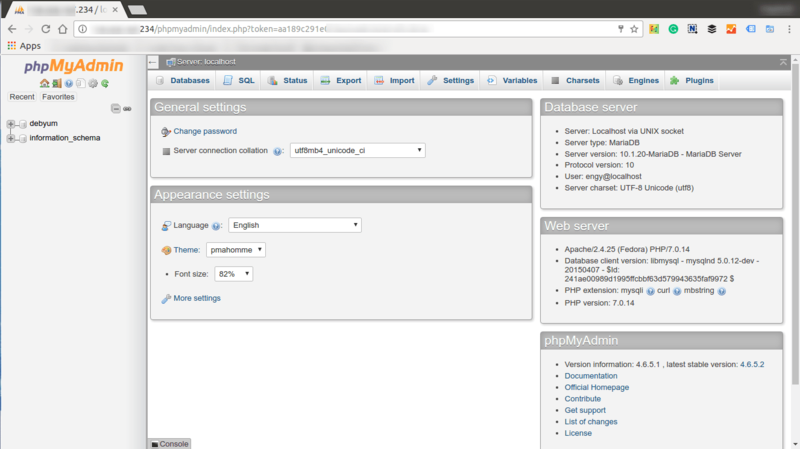 Now you can access PHPMyAdmin. Securely Access VNC remote desktop with noVNC Encryption . Restart MariaDB Galera cluster After Reboot or Galera cluster recovery. 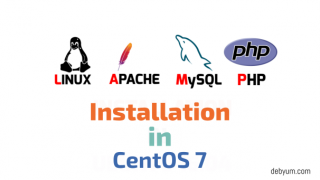 How to install LAMP on CentOS 7. How to Install latest LAMP stack on Fedora 25 – DebYum.